Take a bow, everyone, and pat yourselves on the back: we've made it through another M-F and the weekend is upon us. What's on your docket? My family's scattered around a bit this weekend. Maddy's in Sydney for a debate tournament so it's just the boys and me until Sunday night. Sam's taking the PSAT tomorrow morning and I'm hoping to take a nice long walk around the lake by our house. We may end up seeing a movie, too. Have you seen any movies lately that you loved? An innovative German afterschool game/program featuring a time-traveling professor is redefining play and learning and bringing lesson plans to life as well as teaching empathy. LOVE it. Looking ahead to Halloween? How about three years' worth of couples costume ideas from Say Yes? Camp counselors, Dirty Dancing couple, acroBATS, lumberjacks, punk rockers, Mary Poppins and Bert, motorcyclers, magician and rabbit, and couples from Singing in the Rain, Moonrise Kingdom, and James Bond. Given that it's springtime here and that the imported pumpkins at Costco are more than $30 each, we may take a cue from a Subtle Revelry and carve pineapple jack o'lanterns this year! Or oranges? Friends, I've made this homemade kettle corn recipe three times in the last week or two (and wanted to make it at least eight more times). So easy and so so good in that sweet salty delicious way. 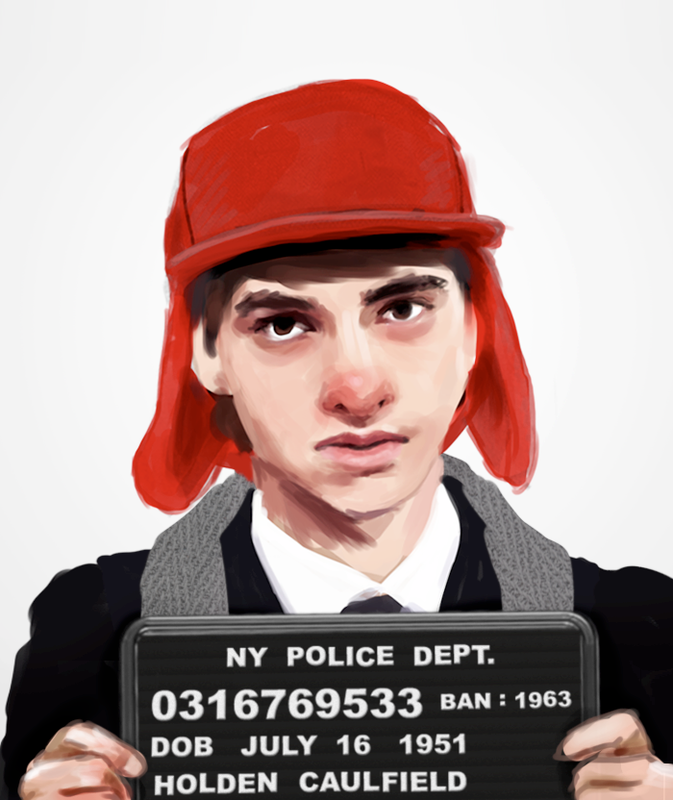 Illustrated mugshots of characters from famous banned books. Gavin (at Zen Pencils) illustrates quotes from inspiring speeches in a cool, accessible way. I especially love his installments for John Green (advice for a writer), Amy Poehler (great people do things before they're ready), and Ira Glass (advice for beginners). Loving the Brave Women poster that Ashley Mae Hoiland recently created. It would make a great gift for a girl or teen (or grownup) in your life. She's also a wonderful writer. The art of slowing down in a museum (in case you missed it). I'm going to take this approach the next time we go museuming. Make owl library cards from a free printable at love vs. design.